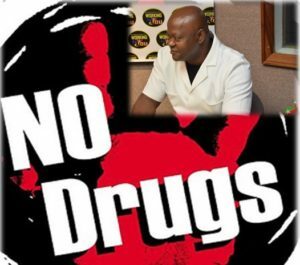 Basseterre, St. Kitts – Newrish Nital, drug prevention officer at the St. Kitts-Nevis National Council for Drug Prevention Secretariat, spoke on the correlation between the use of drugs and the increase in crime in society on the government’s weekly programme “Working for You” Nov. 22. “Recidivism would not be so high if it weren’t for the consumption, misuse and abuse of drugs,” said Nital, explaining that residents at Her Majesty’s Prison are often under the influence of drugs when they are admitted to the institution and at the time of conviction. He highlighted that it is important for rehabilitation programmes to be implemented in and outside of the prison to counsel and educate people convicted of crimes on the detrimental effects of drug abuse. He said that people who are incarcerated often are released from prison without going through any rehabilitation, which leads them back into drug use and ultimately recidivism. He also noted that education on the effects of drug abuse leading to a life of crime should begin in the schools to prevent the youth from possibly ending up in a life of anti-social behaviours. 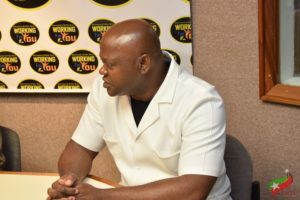 “I am convinced that there are a lot of [people] who utilise marijuana or [other] drugs and do not work and if you do not work and you are trying to get the utility out of a good or service, then you have to find some way to get it and this is where our crime rate will be impacted,” he added. Nital said that it is an “integral part of our society” to ensure that there is a policy on drugs to have a reference point for handling cases of misuse and abuse of drugs.